STEVE JOBS, one of the greatest US entrepreneurs of recent times, famously said “innovation distinguishes between a leader and a follower” and his company demonstrated this by revolutionizing smartphones and shaping today’s society on an international level. Although it would be impossible for an American whiskey brand to have as dramatic an effect on people’s lives, some key players are beginning to explore the unexplored and break away from traditions to find new styles. The iPhone of the bourbon category could be on the horizon. The reason it’s difficult for producers to hold back their stocks for older, more premium products is that the popularity of their younger stocks is growing so rapidly both across the US and internationally. “The demand curve in the US is so big, which is satisfying to watch but is also an issue for retaining old stocks,” Noe adds. In order for a product to be labelled ‘Kentucky straight bourbon whiskey’ it must be aged for a minimum of two years in new American oak barrels. This is advantageous for many brands because, in theory, there is a reliable source of new barrels and the whiskey doesn’t need to be aged as long as scotch before it’s sold, meaning a higher production rate. However, Jim Beam’s White Label is aged for four years, double the required time, and changing this isn’t an option. “Consistency is the most difficult thing to maintain – ensuring someone who’s been drinking Jim Beam White Label for 40 years still gets a smile out of the whiskey,” says Noe. “There’s not just one solution to the supply issues at this point. In days gone by you could buy in whiskey from different suppliers, but nobody is selling on the open market like they used to because the demand is so great. Lux Row Distillers is one of the new generation of distilleries to open its doors in Kentucky, laying down its first barrels at the start of the year. Owned by beverage giant Luxco, the new distillery acts as a home for the company’s premium portfolio of Kentucky straight bourbon whiskeys and investment is as big as the growing demand, with $40m being spent on the new distillery, visitor centre and rick houses. The legendary distiller predicts that premium bourbons which have been aged longer, maybe with a higher strength or alternatives to chill-filtration, could be the next step. This poses an even bigger issue for a category with current supply struggles. But one trend which could be a solution rather than a hindrance is wood finishing. Noe’s son, Freddie IV, the eighth-generation Beam distiller, recently added a corn rye malt blend at cask strength to a different bourbon which the pair seem chuffed with. Another success story from the Beam household is the release of Jim Beam Double Oak. It came out two years ago and one of the advantages it has over other whiskeys is that it uses double ageing to give an older taste profile over a shorter period of time. From one legend to another. Eddie Russell, master distiller of Wild Turkey, has been on board with secondary finishing throughout his time in charge of the company. Russell says: “I’ve been playing around with different types of barrels for years and I’m about to release a whiskey finished in 30-year-old sherry casks. I think it’s taken so long for the bourbon category to catch on because, traditionally, the big brands didn’t want to copy what scotch does. But if we want to keep people’s interest in bourbon then we need to innovate. “It’s important to take small steps with innovation. For example, with these sherry casks I only bought three of them and then went 13 months before I decided it would work. The year 2018 is significant for the Wild Turkey brand as it marks 101 combined years of Eddie and his father, one of the most iconic whiskey producers in history. 101 happens to be the flagship range of Wild Turkey, getting its name from the alcohol proof and, despite the family’s long history within the industry, (Eddie) Russell is delighted to see it changing. He says: “Our industry was so narrow-minded and focused for such a long time that it wasn’t until the late 2000s when the target market begun to change from just 40-year-old men. By way of example, Mash steakhouse in London has just bought a barrel of Jefferson’s bourbon, which will be available in house serves with the actual barrel it was aged in on display at the back of the bar. House beers, wines and spirits are no new thing but buying something unique directly from a brand is, especially 36 cases of it. Maker’s Mark is another Kentucky straight bourbon producer thinking ahead of the game with its Private Select range. Beginning as fully matured Maker’s Mark at cask strength, expressions of Private Select are created by adding 10 finishing staves to each barrel. The staves can be any combination of five flavour profiles, giving, says the company, 1,000 possible stave orders, which can be chosen by the customer. Launching in the UK later this year, Maker’s Mark Private Select is bringing consumers closer to the production of whiskey and allows them to gain individuality from their purchase. One surprising innovation comes from Basil Hayden’s. The premium whiskey produced by Jim Beam recently launched a Dark Rye variety, which blends rye whiskey with port. This creates a totally different product without the need for further ageing in order to achieve a different flavour profile to any other whiskey after just two years in a rick house. Although these glimpses of innovation are overdue, they are positive. There’s no denying the category was slow to respond to growing international demand but a solution is close. 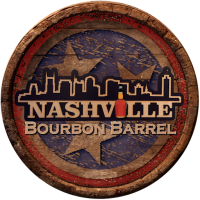 The race to create Kentucky’s iBarrel 2.0 is on.